Pure joy: In the Marmot Featherless Jacket, there are no feathers to ruffle. 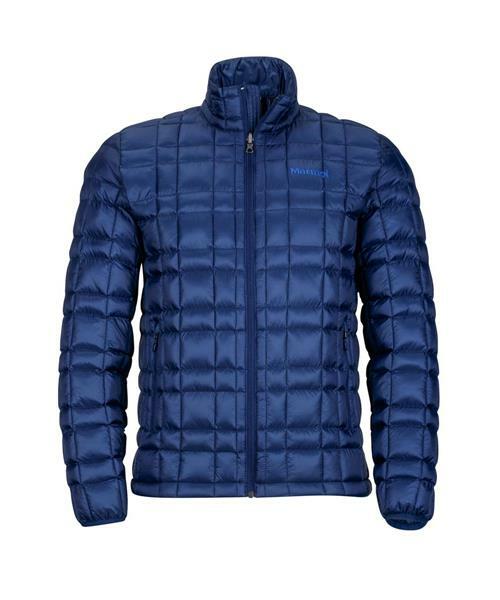 Marmot designed this layerable jacket — ideal for a variety of cold-weather activities when constant warmth is a must — with the revolutionary new 3M™ Thinsulate™ Featherless , a water-resistant, loose-fill synthetic insulation that matches the warmth and pillowy feel of 700-power-fill down, yet maintain warmth when wet better than down. The state-of-the-art materials and functional design make this jacket a jet setter in thermal technology's upward flight.